How will climate change affect our lives? Where will its impacts be most deeply felt? Are we doing enough to protect ourselves from the coming chaos? In Extreme Cities, Ashley Dawson argues that cities are ground zero for climate change, contributing the lion's share of carbon to the atmosphere, while also lying on the frontlines of rising sea levels. Today, the majority of the world's megacities are located in coastal zones, yet few of them are adequately prepared for the floods that will increasingly menace their shores. Instead, most continue to develop luxury waterfront condos for the elite and industrial facilities for corporations. These not only intensify carbon emissions, but also place coastal residents at greater risk when water levels rise. 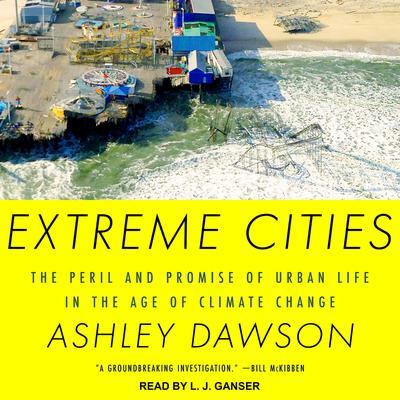 In Extreme Cities, Dawson offers an alarming portrait of the future of our cities, describing the efforts of Staten Island, New York, and Shishmareff, Alaska residents to relocate; Holland's models for defending against the seas; and the development of New York City before and after Hurricane Sandy. Our best hope lies not with fortified sea walls, he argues. Rather, it lies with urban movements already fighting to remake our cities in a more just and equitable way. As much a harrowing study as a call to arms, Extreme Cities is a must-listen for anyone concerned with the threat of global warming, and of the cities of the world.